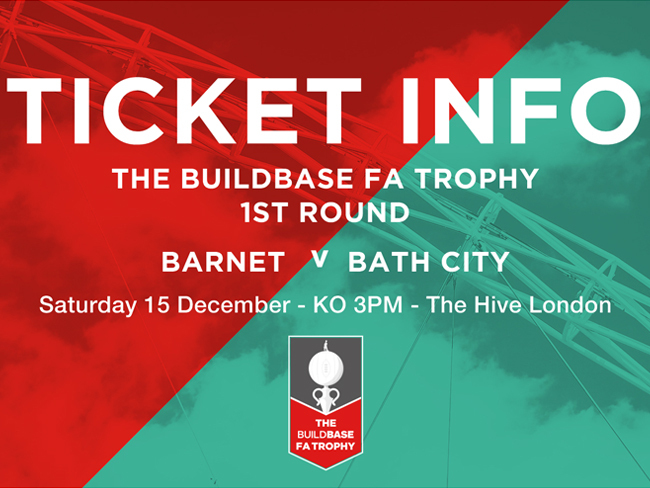 Barnet FC have announced ticket information for the FA Trophy 1st Round match against City on Saturday 15 December at The Hive. Prices in all areas of the stadium will be £10 for Adults, £5 for Concessions and £1 for Under 17’s. 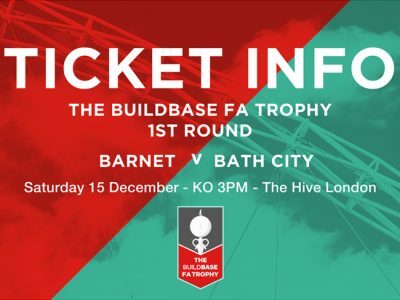 City fans will be housed in the Stand ’66 and tickets can be purchased in advance by clicking here.